Valley National Bancorp (NYSE:VLY) has experienced an increase in enthusiasm from smart money of late. 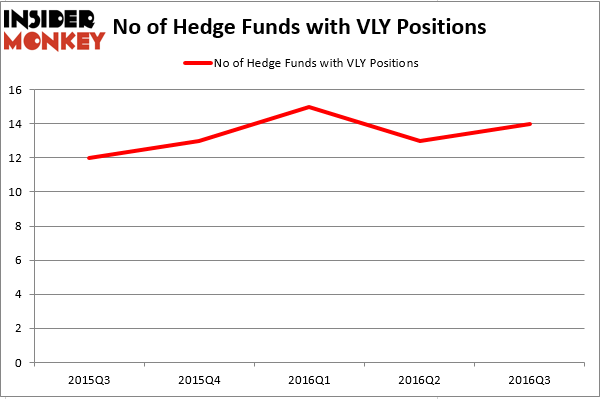 There were 13 hedge funds in our database with VLY positions at the end of the previous quarter. The level and the change in hedge fund popularity aren’t the only variables you need to analyze to decipher hedge funds’ perspectives. A stock may witness a boost in popularity but it may still be less popular than similarly priced stocks. That’s why at the end of this article we will examine companies such as Avon Products, Inc. (NYSE:AVP), Genworth Financial Inc (NYSE:GNW), and Primerica, Inc. (NYSE:PRI) to gather more data points. With all of this in mind, we’re going to analyze the key action regarding Valley National Bancorp (NYSE:VLY). 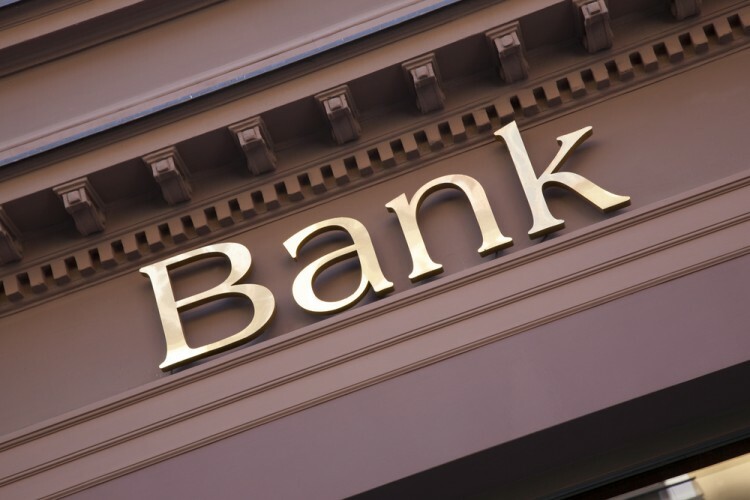 What does the smart money think about Valley National Bancorp (NYSE:VLY)? Heading into the fourth quarter of 2016, a total of 14 of the hedge funds tracked by Insider Monkey were bullish on this stock, up 8% from the previous quarter. Below, you can check out the change in hedge fund sentiment towards VLY over the last 5 quarters. So, let’s find out which hedge funds were among the top holders of the stock and which hedge funds were making big moves. According to Insider Monkey’s hedge fund database, Renaissance Technologies, one of the largest hedge funds in the world, holds the largest position in Valley National Bancorp (NYSE:VLY). According to regulatory filings, the fund has a $33.4 million position in the stock, comprising 0.1% of its 13F portfolio. The second largest stake is held by Tudor Investment Corp, led by Paul Tudor Jones, which oversees an $11 million position; 0.3% of its 13F portfolio is allocated to the company. Remaining hedge funds and institutional investors with similar optimism consist of Michael Platt and William Reeves’s BlueCrest Capital Mgmt., Gregg J. Powers’s Private Capital Management and Martin Whitman’s Third Avenue Management. We should note that none of these hedge funds are among our list of the 100 best performing hedge funds which is based on the performance of their 13F long positions in non-microcap stocks. How BOK Financial Corporation (BOKF) Stacks Up Against Its Peers Is CAE, Inc. (USA) (CAE) A Good Stock To Buy Right Now? Do Hedge Funds Love Sterling Bancorp (STL)? Is Super Micro Computer, Inc. (SMCI) a Good Stock to Buy? How Bridgepoint Education Inc (BPI) Stacks Up Against Its Peers Is B2Gold Corp (BTG) A Good Stock To Buy?